What sort of startups does Dell Technologies Capital invest in? 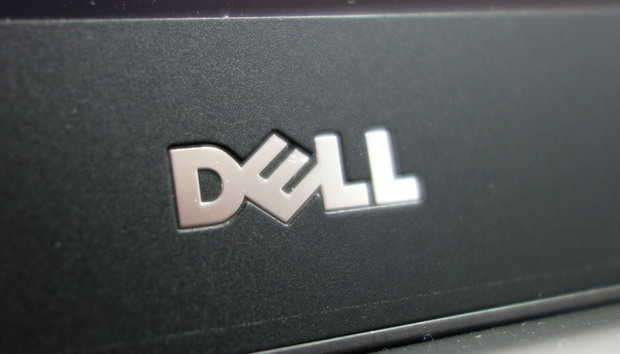 Dell Technologies has invested in a range of technology startups for the past few years, from a microchip designer, to software which promises to secure IoT devices. Speaking at Dell Technologies' IQT Day in New York last week Scott Darling, president of Dell Technologies Capital, introduced five of the startups the company has invested in recently. Explaining the investment strategy, Darling said: "We invest in what we know." He added that the approach is to build companies by taking seats on boards and using Dell's go-to-market channels to help these companies to scale. Dell Technologies Capital came out of stealth mode in 2017 but has invested in companies since 2012 under its old name EMC Ventures. There are two UK-founded companies in the Dell Technologies Capital portfolio: Moogsoft and Graphcore. Graphcore develops processors specifically designed for AI solutions, which it calls intelligent processing units (IPUs). CEO and cofounder Nigel Toon said at the Dell IQT event in New York last week: "Interest from investors has been to create the next generation of hardware to support machine intelligent systems. "As we get more involved in building systems with higher capability, the networks become more complex. As we need to understand the context of conversations, which implies feedback and memory in the system, to create more intelligent and robust systems. "This complexity means more complex data structures which don't map well to today's hardware, using clusters of CPUs and GPUs to match that need for compute, so we need new hardware to match this workload." Dell Technologies Capital participated in the startup's massive $30 million (£22.6 million) Series A funding round in October 2016. Moogsoft specialises in using AI to bring analytics to IT operations data. The Moogsoft proposition sounds very similar to what Splunk, the big hitter in the IT operations data space, has been doing for the past couple of years. Founder and CEO Phil Tee said during the Dell IQT event in New York last week: "The genesis of the company was understanding natural language to help customers understand the millions of event messages you get from infrastructure as to what is relevant and a service-affecting issue. We use algorithms, not the old rules-based model, to predict failures." Dell Technologies Capital participated in the company's Series B and more recently its $31.6 million (£23.8 million) Series C round back in March 2016. Read next: Enterprise tech startups to watch 2017: How fast they're growing, how much funding they're getting and will they IPO? The rest of the companies Dell wanted to roll out at the event included FogHorn Systems, Zingbox and Edico Genome. FogHorn Systems delivers IoT analytics for edge-computing devices. Founder David King describes what FogHorn does as "edge intelligence" so "applying complex rules to streaming data". King agrees with Michael Dell on this point: that when it comes to IoT, from a cost and latency perspective, it is better to process data at the edge closer to the source rather than sending everything back to the centralised cloud. "So FogHorn is a small software engine using in-memory processing for analytics and AI to execute on data as it is being produced," King said. Dell was the lead investor in FogHorn Systems' $3 million (£2.3 million) Series A round in May 2017 and participated in its Series B round. Zingbox is a developer of IoT security solutions to enable healthcare organisations roll out connected devices while remaining compliant with FDA regulations. Cofounder and CEO Xu Zou said: "Zingbox uses machine learning to give insights and detect anomalies." Zingbox markets itself as a solution to help healthcare organisations avoid damaging security breaches when rolling out wearable devices. "We talk to lots of CISOs at large hospitals and see a mindset that we care about security and big fines and headline news," she said. "They want to ensure they aren't in the news, so incidents like WannaCry bring attention to invest more into beefing up security." Dell was the lead investor in Zingbox's $22 million (£16.6 million) Series B round in August 2017. Lastly, Edico Genome has designed a processor - called Dragen (Dynamic Read Analysis for Genomics) - to analyse human genome sequencing data. Gary Nealey, VP of sales at Edico Genome said the Dragen platform allows researchers and clinicians to: "take genomic data and process and analyse it very fast and in a more accurate way for researchers to find diseases much faster and find better treatments for genetic ailments." Nealey said that Edico Genome allows customers to process the whole genome in 20 minutes, down from three to five days previously. Dell was the lead investor in Edico Genome's $20 million (£15 million) Series B round in September 2017.